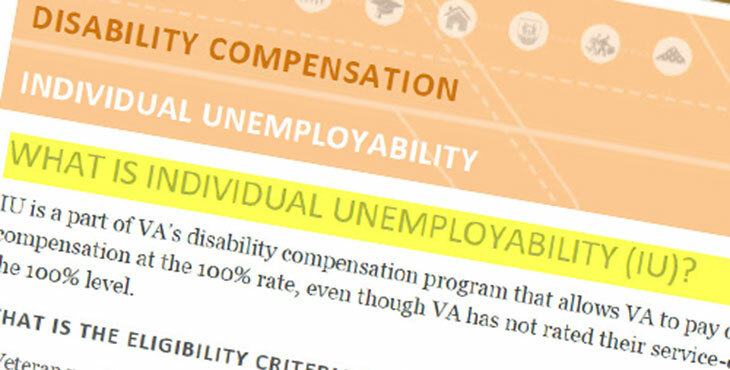 Individual Unemployability allows VA to pay certain Veterans at the 100-percent disability rate even though their service-connected disabilities are not rated as 100-percent disabling. Veterans may be eligible for this rating increase if they are either unemployed or unable to maintain substantially gainful employment as a result of their service-connected disability (or disabilities). What is substantially gainful employment? Substantially gainful employment is simply full-time employment that provides a wage greater than the poverty level. (Note: In 2014, the U.S. Census Bureau considered a poverty-level, yearly wage for a person under the age of 65 to be $12,316.) For instance, if a Veteran has been trained to drive a truck, but can’t work because of service-connected back and stomach conditions, he or she may qualify for IU. 2) a 70-percent combined disability evaluation based on multiple service-connected disabilities, with at least one disability rated at 40 percent or more. In these cases, VA will consider a Veteran’s eligibility for IU, if there is evidence showing he or she cannot work due to service-connected disabilities In both instances, VA reviews all the evidence of record and decides if a Veteran’s disability is, by law, severe enough to grant IU. Since the Veteran has only two service-connected disabilities, both the Veteran’s PTSD and IBS have to be evaluated at a higher combined rate and be the reason he can’t work to receive IU. How is the way VA decides total disability different from other agencies? The law requires different criteria for other government agencies that process disability benefit claims. The Social Security Administration, for example, requires a claimant to be totally disabled after considering age, education, and prior work experience in order to be eligible for social security disability. VA only considers service-connected disabilities when considering entitlement to IU, and those disabilities must be the reason the Veteran can no longer be gainfully employed. IU is meant to compensate Veterans unable to work because of service-connected disability or disabilities that do not meet the VA Rating Schedule requirements for a total evaluation at the 100-percent rate. If you think you fall into this category, I encourage you to work with a Veterans Service Organization, a state or county service officer, or see your public contact team at your nearest regional office. You can also find more information on our IU website, http://www.benefits.va.gov/compensation/claims-special-individual_unemployability.asp. I am also happy to answer your questions in the comments section. 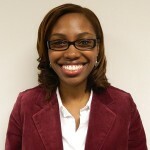 Dominique Joseph is a claims processor at the Appeals Management Center and the daughter of a disabled Veteran. 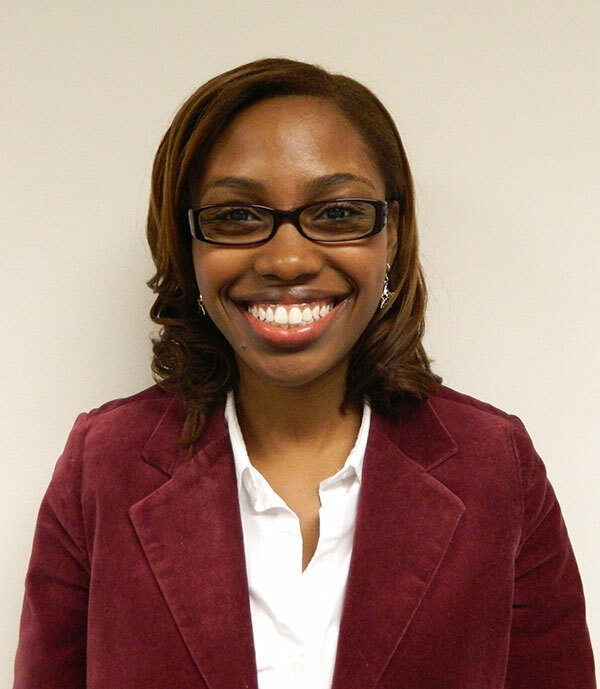 Dominique Joseph serves as a Public Affairs Specialist for the Veterans Benefits Administration in the Office of Corporate Communications. I also just thought of this question: If I did get a work-from-home job or any other job, would my non-service connected pension stop? Would I receive ANY benefits from that point on? I am 50% non-service connected due to depression (It is under review for an increase.) I am 10% service connected for injuries. The only job I could possibly hold would be a work-from-home job and I know I wouldn’t last too long. How do I apply for consideration of TDIU as my current claim is pending, but I can barely make ends meet. I have not held a job for years and I can not drive. Please advise. I’m currently rated 60% for bronchial asthma, 40% TBI with post traumatic headaches, 10% gastro esophageal reflux disease, 40% lumbar paravertebral myositis with bulging disk L4-L5, L5-S1 lumbar DJD, 10% clinical left L5 and S1 radiculopathy. Diagnosed with obstructive sleep apnea not service connected yet, HBP and Supra Ventricular Tachycardia. Working full time at the USPS but with a poor attendance record because of my medical conditions. Can I qualify for IU?. I’m will undergo a heart procedure in April to try to correct my tachycardia problem. I have a 90% total with one 60% rating for a spinal cord mass. And was recently denied IU in Florida due to an examiners interprtations of my neurologic damage post surgically. And the results of an MRI without my Neurologist actually looking at it for his readings. I would like to know if it is wise to appeal for the IU and get an actual VSO that can help me, since most days I have pain and migraines that keep me at home. Unlike this last time where it obviously failed me. I recently applied for IU in Florida. I have a total of SC rating at 90%, and one dusabiling factor at 60%. Though I met all criteria as stated by the VRO and the deciding offier, I was denied based on the claims of the examiner. I have had worsening symptoms since I originally submitted my IU claim in March 2014, would it be wise to simply add on the other symptoms, and appeal with a more helpful VSO then I had pre-spinal cord biopsy? Dominique, thank you, this is information I’m looking for. After reading your post about Individual Unemployability I have a question. Let’s say a veteran has a combined rating of 90% and has several disabilities one of which is 50% PTSD and another at 40% due to a spinal injury. If approved for IU he will be paid at the 100% rate. My question; is this for pay at the rate of 100% only or does this veteran also qualify for other benefits of 100% such as dependents education assistance? DOMINIQUE, I HAVE BEEN FIGHTING A CLAIM FOR OVER 7 YEARS. I AM CURRENTLY RATED 50% FOR A SHOULDER INJURY INCURRED WHILE ACTIVE DUTY. I SPENT 10 YEARS IN THE USAF. I WAS IN VIET NAM IN 1970, 1971, 1972, 1973, 1974, 1975. I HAVE FILED A CLAIM FOR HBP, ARTERIAL DISEASE, TYPEII DIABETES, NEUROPATHY, PTSD, SEVERE SLEEP APNEA ALL RELATED TO AGENT ORANGE EXPOSURE. AFTER WAITING 3 YEARS FOR MY CLAIM TO BE EVALUATED IT WAS DENIED. THEIR EXPLANATION WAS THEY HAVE NO PROOF THAT I WAS EVER IN VIET NAM. AFTER 2 MONTHS OF DIGGING I FOUND 48 PAGES OF ORDERS SHOWING MY SERVICE IN VIET NAM. I SENT THOSE TO MY DAV REPRESENTATIVE AND WAS TOLD THAT WE WERE FILING AN APPEAL. AFTER ANOTHER ALMOST 3 YEARS MY CLAIM WAS AGAIN UP FOR EVALUATION. IT ONCE AGAIN CAME BACK DENIED DUE TO NO NEW EVIDENCE. THEY SAID THAT THE DOCTORS HAD NOT PUT A FORMAL DIAGNOSIS OF ILLNESSES IN MY RECORDS AND WERE GOING THO DENY MY CLAIM AGAIN. I WENT TO MY PRIMARY DOCTOR PLUS MY PTSD DOCTOR AKING THEM IF THEY COULD PUT MY DIAGNOSIS IN MY RECORDS. THEY SHOWED ME WHERE THEY HAD DIAGNOSED MY PREVIOUSLY AND THAT THE VA MUST HAVE JUST OVELOOKED IT. THEY AGAING PUT THE DIAGNOSIS IN MY RECORDS. I HAVE BEEN TREATED FOR THESE ILLNESSES AND GIVEN MEDICATION FOR THEM FOR MORE THAT 6 YEARS. I AM NOW HAVING TO APPEAL AGAIN AND HAS BEEN SEVERAL MONTHS WITH NO RESPONSE OR ANSWER. I CONTACTED MY CONGRESSMAN TO SEE IF THERE WAS ANYTHING HE COULD DO TO AT LEAST GET THEM TO LOOK AT MY CLAIM. IT HAS BEEN OVER 2 MONTHS NOW AND NO RESPONSE FROM ANYONE. IT HAS GOTTEN TO THE POINT THAT I CAN BARELY DO MY JOB SINCE I DRIVE 60K TO 80K PER YEAR IN MY JOB AS A REGIONAL MANAGER. I HAVE 5 LOCATIONS THAT I TAKE CARE OF BUT CAN HARDLY DO THE JOB. I SUFFER THROUGH THE DAYS WITH LEG PAIN FROM THE DIABETES NEUROPATHY AND BY THE TIME I GET HOME I SUFFER THROUGHT THE SLEEPLESS KNIGHTS OF PAIN TO TRY AND START OVER AGAIN THE NEXT DAY TO BE ABLE TO PAY MY BILLS AND SUPPORT MY FAMILY. THE ONLY OTHER ALTERNATIVE I SEE LEFT IS TO HIRE AN ATTORNEY AND SEE WHAT HE CAN GET DONE. DO YOU HAVE A BETTER SOLUTION? Is there a time limit to apply for Individual Unemployability? Dear Dominique, I am rated at 70% now with 2 service-connected disabilities. 1 for low back with residuals at 50% and the 2nd for left foot bunion at 20%. The scenerio you gave about trained truck driver applies to me. I lost my job because of my back issues causing me to miss work and that by law a driver with back problems cannot pass the DOT physical so therefore cannot drive a commercial vehicle. Employer also stated insurance liability as reason for job loss. I was recently denied IU . But I did receive an increase for my back condition of 20%.I was also denied for tinnitus due to no service records to make connection to service. My in-service medical records have never been found by VA or myself. Should I appeal this claim for IU and/or tinnitus? Also should I attempt to get a statement from ex-employer about the reason for losing my job ? Any information you can provide me will be greatly appreciated. I HAVE AN APPEAL PENDING FROM AUGUST 2012 DIABETES AND DIABETIC NEUROPATHY. HEARD SCUTTLEBUTT THAT THE APPEALS PROCESS IS PROJECTED TO TAKE 5 YEARS NOW! I WENT TO MY PERSONEL PHYSICIAN TO GET A CURRENT EVALUATION ON MY NEUROPATHY. WOULD IT BE PRUDENT TO CONTACT THE VSO HANDLING MY APPEAL INFO AND SUBMIT THESE LATEST FINDINGS OR WOULD IT JUST MUDDY THE WATERS SO TO SPEAK? THANKS FOR YOU TIME! USMC 1967-? I will be filing my paperwork for IU tomorrow but I’m having trouble finding out what happens AFTER IU is approved. There’s a great deal of info on how to apply and requirements but I’m still unclear about the details are regarding post-approval of an IU. If you could help me navigate some of this I would greatly appreciate it. I applied for disability when I was discharged in 1966 for stomach and a back injury. I was rated 20% for stomach but was denied for my back as there was no evidence in my medical file. ( My medical file was lost when I was transferred from Ft. Dix to Germany in January 1964 by the person in charge of records. Quite a few files were lost). In 2003 I again filed on my back showing morning reports of hospitalization in Ft. Gordon in June 1963 plus my MOS was changed in July 1963 from infantry to cook and baker. I was unable to lift, crawl, pull nor carry any weight.. The examiner ruled the hospitalization was due to my back as it would be speculation .I was awarded 100% IU in June 2003 for my stomach but again denied on my back disability. In 2010 I decided to write to the FT. Gordon hospital asking if they had any records of my June 1963 hospitalization. Three weeks later i received medical reports showing a back injury on May 30, 1963 during a training exercise. I again filed with this information and was denied again. I took all my medical records to 3 Orthopedic surgeons who reviewed the evidence and all wrote it was more likely than not my back injury happened on May 30, 1963. I have had 2 back operations in 1981 and 1986 and was placed out of work in January 1992 because of my back. Bottom Line in December 2014, after 48 years I was finally awarded 100% T&P plus Special monthly compensation because of loss of use of my legs due to my back injury.I am confined to a power chair, unable to walk or stand. My question is this” Was the VA responsible (negligent) to check with the hospital at FT. Gordon, Ga. for any medical records when I told them in my 2003 claim about being hospitalized at Ft. Gordon and should my back pay be from my 2003 claim instead of the last time I filed a new back claim in December 2012 after receiving the records? Can you work part time (making less than say $10k/year) and still get the 100% based on unemployability? Hi. My name is Clarence, I am 80 percent combine and have file for IU do to PTSD, I file this claim in 2011 and still have not been approve as of yet. What does it take for those that have not been in combat know what a combat veteran is going through and judge that they are not entitled to what they should be getting. I have giving everything that they have ask for, is it right for someone to tell you that you do not meet the criteria for IU? We gave our all when we were called upon and now when we reach out for help someone have to decide whether you qualify or not, is this right to the veterans that have given to their country? Personally I don’t think so, but am I? just another veteran that is being denied benefits. Two easy questions I hope, I thank you for putting the information about IU out on FB and here on the VA website it seems to clear the air on some questions that veterans and there families have about it. My question is that in 2013 I applied for IU and was denied, and with the information that you have posted I have been able to understand why. I’m in the appeal process as I type this. At the time that I applied for IU, I was 50% PTSD 40% for my back and 10% for each leg for ridicolopathy (sp) with an overall rating of 90%. Since the appeal I’m now 70% PTSD and the others have all stayed the same. Question is now that I’m 70% PTSD, with a 90% overall rating, will the VA more than likely deny the claim again, or are the odds in my favor since the PTSD went up? I am rated at 70% ptsd unemployable and 10% foot injury but I get paid at the 100% rate. Why is it I get denied for Special Compensation when I have home healthcare through the VA for Aide and Attendance? I have diabeties, bladder implant, hysterecmy full, irritble bowl syndrome/ chrones disease, lower back injury, possible breast cancer, neuropathy. Great info! I am a 70% rated veteran (2013). 10% tinnitus, 20% chronic back pain and 50% for left ventricle dysfunction and bradycardia. I also receive SSD for a surgery that I had on my neck (that the doctor botched and no doctors can fix in 2003) and applied for IU in 2013. They denied it because I am receiving SSD and said that the only way that I can receive IU is if a doctor states that I cannot work or am not able to maintain employment. I also suffer from anxiety and depression spells and PTSD. How can this be? Something doesn’t seem right or makes sense. Who can I talk to that can give me a more definite answer than my local VRO? He just doesn’t seem to be up to date because my original VRO went on to bigger and better things (I guess). I am receiving IU at 100% rating. Is this a lifetime benefit? I was wondering if you could give me some assistance. I’m a 90% SC’d veteran. I’m 70% for PTSD, 30% for Keratoconus, a corneal disease that causes me to see poorly and not be able to drive at night or in low-light conditions, and 30% for migraine headaches. I have to limit my time doing anything visual, especially reading a computer screen or newspaper, else I will trigger headaches and sometimes migraine. I never get more than 4 hours of sleep and nightmares caused by the trauma that caused my PTSD are frequent. I had to retire early from a job that I loved because of all of this plus the associated panic attacks. Should I make the effort to file for IU? I really don’t have the focus and the energy to be able to put together a detailed claim without assistance. Basically, my VA Doctor’s Notes and my 4 C&P exams already paint a very accurate picture of the troubles that I’m having. I have received the decision letter from the VLJ in DC that grants me TDIU, I have been waiting for almost 6 years for this decision. Now I am being told that I must wait another year or more before I will get my award letter and start receiving any of these benefits. Why does it take so long for the award letter and back pay, when I calculated it out in 2 hours? My Dad is 100% disabled. He gets a monthly benefit check. If he were to move into a VA supported free assisted living facility, would he still recive his full monthly benefit? Thank you first of all for writing such a good article on this subject matter… I come to you because my local VSO has no clue nor does her boss over at the regional office. I have a combined SC of 70%. One of the SC ratings is 10% for TBI and there is several others as well to get my combined SC at 70%. My girlfriend is also my caregiver through the VA Caregiver Support System as well. 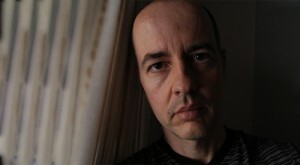 I am also on Social Security Disability. At Social Security they call what I have Organic Mental Disorder DIB code 2940 and Affective/Mood Disorder code 2960. Social Security Disability pays my monthly amount to my girlfriend due to the fact that I have suffered head trauma that resulted in the TBI. I have been told by my mental health doctor at the VA that my TBI rating is low and I am currently appealing. In the mean time since we all know how quick the VA works is there any guidance or direction you can offer or suggest since the local VSO and even the regional VSO seem to have no clue and I have lost all faith in their ability to serve in my best interest. I am located just north of Sacramento and use Mather VA as my primary treatment facility. Again thank you for this article it is very informative. Great question. the criteria for a 100% evaluation for PTSD is that you have “total occupational and social impairment.” This means you cannot be gainfully employed. You can have a part-time job so long as your income does not exceed the poverty level. Is a Veteran rated 100% disabled for PTSD and receiving full comp benefits considered unemployable as well. Do they lose rating or comp benefits if they go back to school and get a part time job? I am sorry to hear you are having such a rough time. The first step would be to get service connected. Since you have tried in the past, I suggest working with a Veterans Service rep, such as a state or county rep, or the VFW, Purple Heart, DAV or American Legion, etc. I also hope you are working with our medical centers or Vet Centers to receive medical treatment. They have great programs to assist Veterans with anger issues stemming from PTSD. It’s not easy, and I can’t say you will get over your trauma, but as a friend once describe to me, with help you get through it. I am a female combat veteran. I filed a NOD in 2013 bc I was denied IU. In April of 2013 I was retired from my job as an RVSR due to depression. I receive disability retirement from my VA job every month. I am 70% sc for PTSD, 30% migraines, 20% fibromyalgia, and 10% tinnitus. My rating decision stated I was denied bc although I cant work due to my depression, I am sc for PTSD and not depression. And that although I can’t work as an RVSR, there are other jobs I could work around my disabilities. I worked as an RVSR, a sedentary job, I don’t know what type of other employment I could work. So with my NOD, I provided a private drs opinion stating my depression is a symptom of my PTSD and I am unable to obtain or maintain gainful employment and that my sc disabilities cause total and social occupation. I also was hospitalized twice and provided those records to show I am still unable to work. I have spoken to several DROs I use to work with and everyone has said its an easy overturn to grant IU. I meet all of the qualifications. And I am still waiting on a decision. I thought about just filing a new claim since they have to rate within 125 days, but then I loose my effective date of April 23, 2013 my last date of employment. I also provided documentation that my husband is now my primary caretaker through the VAMC, and up to date records that my service connected disabilities continue to render me unable to obtain any gainful employment or occupation. I still haven’t received a decision. In your opinion, would this be an easy grant for IU once a DRO reviews my case??? Its coming up on 2 years since I filed a NOD/DRO review. I dont know what else to do except a congressional at this point. The VA will not accept my appeal because they already claim to have all the medical documentation. I am dependent on breathing medications to function day to day. It took them 8 years to acknowledge that this damage existed even with a decade of documentation and medication proof that it is service related, but did not assign it a rating. I really need a reliable service officer. I was denied years of back pay for another service related injury because they wouldn’t accept an appeal, but finally “reviewed” the original records and awarded the disability at 50%, without back pay for the many years they refused to accept my appeals. I’m pretty sure that without someone who can navigate the VA appeals process that I will never receive compensation for my lung damage. I have experienced years of promises from other service officers with no actual assistance. One service officer won’t even return my medical records that I entrusted to them. I am sick about this whole nightmare. I’m a veteran of the early 70’s. I’ve applied for service connect and was denied. I do draw a V.A. pension. I was getting this for me and my wife, in Nov.2010 she started getting SSI & SSD. I turn the information in, in Feb. 2011, that she was getting benefits from SS. In July 2012 the V.A. cut my check off for 8 months, and then started giving me 528.00 a month. I was told my a V.A. representative that the money she was getting was not enough so don’t worry about it. But in return i end up owning the gov. 15,000.00, and i’m only getting 584.00 a month now. They say they are giving my wife 200.00 or so a month but where is it going. She does not receive it, and if they say they are giving it to me, will i’m not getting nothing but 300.00 are so myself. And the bad thing is we are seperated, and have been for over 4 yrs. The Texas Veteran who suppose to be representing me say their no more they can do. I’m on the edge, cause i can’t kept living on what i’m, getting. If you can please help, cause i need dental work bad and cannot afford it, trying to kept a place to stay and feed myself..
Just trying to get an appointment. 4 years ago I missed a disability appointment due to a snow storm and now years later I still can’t get another appointment to get my issue rated. What should I do as my issue has gotten substantially worse. My disability was calculated without it. I am in an appeal for my service connection… ptsd due to may, and legs, which were on my discharge. I also have severe depression due to ptsd. It is debilitating. Can I apply? Do I qualify? Confused. I would like to ask for your assistance. I was granted a service connected percentage for the asthma I acquired during my active duty service. In November 2010, soon after my retirement and prior to receiving my first benefit payment, I was in a civilian hospital for two days for a severe asthma attack. I took that information and those records to a compensation and pension appeal appointment in 2014. I was told that the issue would not be addressed because my VA primary care provider did not set up an appointment for a consult with the sleep clinic for my sleep apnea in 2011. I was also told that no further respiratory testing would be done. I changed primary care providers. In November of 2014, I had another severe asthma attack and was treated in the emergency room at Bay Pines. I eventually was given a pulmonary function test- with only additional inhalers and albuterol for my nebulizer as the result. I have yet to be seen in the sleep clinic at Bay Pines because the provider wants me to provide records that were used to establish my percentage for my condition. I am confused. Should the provider already have access to these records since they were provided at the time of my rating? Why is it so difficult to get someone to realize my asthma is more severe that initially rated? I suffer through flu season because I am allergic to the preservative in the flu shot and therefore unable to take it. I also struggle through pollen season. I have inhalers in every place I spend more than five minutes. I never had asthma as a child. I am at a loss here since I have already filed an appeal that went nowhere. Aloha I have 70% rating, 40% for chronic Back pain and remainder for chronic knee pain. What do I have to do to get IU. I need the exact steps. I spent over 20 years and retired in 1999. Thank you. I been trying for years having been able to work for years due to injuries from the military was also retired because of military injuries. 10% 1 knee.20% lower back.20 % left shoulder. 50% PTSD rated at 70% put in another NOD been there for 192 days now..
Greetings Ms. Dominique Joseph……I was medical discharged on August 2009 by the ARMY Honorable…with a 50%…..I served 25 yrs PR National Guard. ..and of those 25…….21 yrs Military Technician……..I claimed various conditions. At VA…..I was service connected….major depression 30% 2009-10…..Fibromyialgia……40% 2010-11 for 60%. On 2014 IBS, sinus and CFS……10% each…but for a total of 10% total % 70%………Sleep Apnea was evaluated on 2014 with CFs..sinus and IBS…but no answer of it. VA affairs told me that is in appeal….With skin conditions. ….IU……etc. …..I have social security on 2011……….Which your advice if I qualify for IU….which I have all the criterias…..Thank you…..SFC Ret Gonzalez. ..
I’m 80% and have been awarded my rating for issues that interfere with working. I’ve completed all my paper work and exams. I requested U I but my claim continues to be closed abs reopen. What should I do. Also I served 12 years and was honorable discharged for these issues. From personal experience, I believe that there are many programs to pick you up once you have lost everything but none for those in the process of losing it all and struggling to maintain. Think about it. Cognitive Processing Therapy for PTSD cannot be continued if you have multiple present stressors, like unemployment, pending homelessness and relationship issues. This does not help a PTSD case from being approved in a P&C claim. They will help to pick up the pieces once you are homeless, but you must be homeless for more than 2 weeks. Not on someone’s couch but in a center. They will check your taxes to verify that you are not making enough money so you will have to explain if you made a good wage and then suddenly didn’t if the overall number is over the poverty limit. just denied my increase for IHD which is getting worse. I am over 65 so that may be their reason for no IU. This just makes my depression worse having to play the game. Been trying to get UI since 2010-. I’m 70% combined disabled. I’ve had examiners threaten to and actually falsify my records I’ve also had examiners ask me who Herbert Hoover is as my whole examination and I’m really disappointed in the level of professionalism my claim has received over these years. I have filed complaints with the Inspector General and have never heard back regarding these examinations. Everyone of my claims has been filed through the American Legion and the Department of Veterans Affairs including the highest ranking employee of the Veterans Affairs in the State helping me with my claims and still to no avail I continue to get denied. I’m now in the appeal process as of last fall and feel that I am just still spinning my wheels and getting nowhere. I would really like your advice on somebody that can really look at my claim and look at the facts that are in there and make a objectional decision rather than an opinionated decision, just because the Examiner has a chip on her shoulder against me. I received IU total and permanent and have a 80% rating but received a 100% pay rating. My question is that I was told that the VA would be sending me a letter asking my work status every May of each year? Is that true and if so why? They also told I must keep my address current with because if I didn’t and they did not received this info it could impact my status. Could you please explain what this letter is all about? no reply – sent on March 9, 2015? Hello, I am a veteran that is receiving compensation of 60% for a back fusion (40%), left shoulder separation (10%) and arthritis in my right ankle (10%). I am also waiting for my original medical records, from Houston, because I am looking to file two new claims for my my knees and for mental issues. I had been employed continuously since I left service in 1996 and became unemployed in June of 2014 because of downsizing. I am currently speaking with an attorney regarding suing for wrongful termination and possible discrimination. I have not been able to gain any employment for various reasons but the most popular one is that employers are not willing to work with me regarding the number of appointments I have. Is IU an option for me and who at my local clinic would I discuss this with? Any guidance would be greatly appreciated. what if a Vetrean like me has developed a career in Law Enforcement but because of worsing service connected depression, IBS, and anxiety is having a hard time holding on to the job I have. I am really suffering thru work even though work. I am scheduled for 32 hours a week but usually only make 20 or so I am at 90% service connection. I really don’t want to be unemployed broke and loose everything I own before qualifying for TDIU. Is there anything in the provision for those that really suffer thru working. Who are working but are really showing by there proformance they should not be there? i am a 90% disabled Veteran, and have an appeal for 100% disability. I have numerous injuries related to one injury and the VA has determined through their own doctors that the disability is getting worse as I get older. Due to the stress and trama of this situation the VA has also determined me to have anxiety. I am in constant pain and have exhausted all my options with the VA such as PT, etc… I am currently taking anxiety medication that I wasn’t taking before, and my home life is suffering as well. I am at my wits end I need someone to help me. Thank you. My appeal for dermatitis and my reconsideration for IU is being looked at now. My question is, why does it take so long for a DRO to view a Veteran’s record when it’s been in their possession for almost one year? How long does a Fully-Developed Reconsideration takes? Is it just as long as an appeal? Lastly, what the email address to IRIS? What if your Social Security disability was granted for Service connected and non Service connected and your Service connected has now worsened more than the original SSDI award, as so severe to cause secondary Service connected health issues? Avery, I am not familiar with how the Social Security Administration processes or considers their disability claims. However, if you feel your VA service-connected disability has worsened, you may want to file a claim for an increased rating or request service-connection for a new disability, secondary to your current VA service-connected disability. Carl, it’s possible the decision letter may contain a clerical error. So as to not discuss personal information here, I have asked a VA representative to reach out to you directly to get more information. Thank you, Ms. Joseph, for the explanation on TDIU!! It concerns me that you only posted the info (which I believe to be a typical tactic used by the VA to give misinformation) on TDIU, covered by 38 CFR 4.16(a.) but not the info covered in 38 CFR 4.16(b. ), which states: “It is the established policy of the Department of Veterans Affairs that all veterans who are unable to secure and follow a substantially gainful occupation by reason of service-connected disabilities shall be rated totally disabled. Therefore, rating boards should submit to the Director, Compensation and Pension Service, for extra-schedular consideration all cases of veterans who are unemployable by reason of service-connected disabilities, but who fail to meet the percentage standards set forth in paragraph (a) of this section. The rating board will include a full statement as to the veteran’s service-connected disabilities, employment history, educational and vocational attainment and all other factors having a bearing on the issue”. The Department Veterans Affairs (DVA), still, continually, sends claimants information on 38 CFR 4.16(a. ), in what, “I perceive,” to be an effort to mislead claimants. By not notifying claimants of 38 CFR 4.16(b. ), claimants are misinformed and often abandon their claim for TDIU. Most VSO’s I’ve met often don’t know what 38 CFR is, let alone 38 CFR 4.16(b.). Roger, I am happy to assist. I wrote this blog post to mainly cover the very basics of IU but I would be happy to do a follow-up post to discuss 38 CFR 4.16(b), specifically extraschedular evaluations, in the future. Two questions. Is out possible to be rated 100% Permanent and Total AND Individually Unemployable? And if so, can you remove the IU, keep the 100%, and go back to work? Chris, great question – You cannot be rated at 100-percent Permanent and Total AND receive IU. If you are Permanent and Total, you are able to work EXCEPT if rated at 100-percent solely for PTSD (as outlined in the Rating Schedule for Mental Disorders under Diagnostic Code 9411 – Posttraumatic stress disorder). Kenneth, I cannot give you a time frame for when your claim will be processed but please know that we are working hard to provide decisions as quickly and accurately as we can. I have been appealing a claim for PTSD and MST since March of 2002. I have been waiting 13 years and still have not had my claim settled. In September 2014 I had a video conference with the VVA and it took me 7 years to even get that hearing. I have diabetic neuropathy and applied for unemployability. Yes Appeal. I had to Appeal even though the Compensation Doctor agreed 100% with my contentions. The Judge awarded my Compensation and in his report scrutinized the regional office for ignoring their own Gathered evidence. In fact the Judge backdated my claim further then what I had originally appealed. Soi fight the fight it’s not just for you but also for the Veterans after you. So many just give up and that just sets the tone for this type of treatment. Bruce, I am sorry to hear. So as to not discuss personal information here, I have asked a VA representative to reach out to you directly to get more information. Yes I’m retired Army ,was a paratrooper with over 100 jumps,and hurt my back,was told I could no longer jump.Retired in 2000 and my back has got me were I no longer work.i,m at 80 precent now,and I put in for TUIU ,this past Dec. and I was denied,and my own doctor took me out of work.Here is what I,m saying,the VA sent me to get checked out with a doctor,and they didn’t even look at what she said,that’s what up set me most,and they said I have not been seen by a doctor ,in which they sent me to one.They did not look at what my own doctor said,and I did file with social security ,was denied too,and VA said that social security turn me down,but I,m thinking what do social security got to do with my IU,I just don’t understand what VA was thinking.By law I was thinking they have to look at all my records I have sent to them.please help me to understand this,and I think I will appeal,and get a military lawyer to help me with this.Thanks for caring. Randall, I am sorry to hear. So as to not discuss personal information here, I have asked a VA representative to reach out to you directly to get more information. You mention the max income that can be earned by someone 65 or younger. Is there a different amount or maybe no limitation for a Vet over 65? Thank you. Jack, a poverty-level, yearly wage for an individual over the age of 65, according to the U.S. Census Bureau, is $11,354. I am a 40% service-connected disabled and unemployed Veteran. I suffer severe hearing loss and foot neuropathy, which prevents me from driving long distances for job interviews or work commutes. In April of 2015, I will be 77 years of age, and while I know that age discrimination is illegal, I also know that it exists. Between my social security and VA benefits, my wife and I are barely able to make ends meet. With IU, we would no longer have to worry about our day-to-day existance. Could you tell me if I might possibly qualify for IU? At this time, I have no prospects be becoming employed. Thank you for your time and your caring. at the New Orleans RO. Jason…why are there Laws and Regulations? Will you please explain that to me. 38 USC 310, 331, 1110. The C&P Examiner states his opinion, then the RO will have the Nurse Practitioner to contradict him. I don’t understand. So why are there laws and regulations if the RO don’t abide by them? I’m I asking much other than what I’m entitled to? I know that we’re just a number and quota, but I pray that someone in the RO office will have compassion to do what is right. Id appreciate any n all info you have.